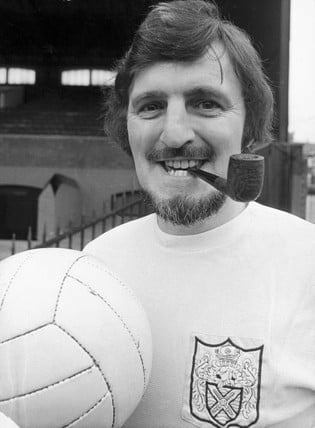 The Fulham Supporters Trust is saddened to hear of the death of former player and Chairman Jimmy Hill and our heartfelt condolences go out to his family. Jimmy Hill played nearly 300 games between 1952 and 1961 for Fulham Football Club. He had a diverse career in football from being a player, manager, chairman, Television broadcaster, PFA chairman who helped abolish the maximum wage and also one time linesman from the stand. My own personal memories of him are from 1987 onwards and how he was a central figure in brining groups together to help stop the merger with QPR and save Fulham Football Club from being just a name in the history books. As a committee member of the old Supporters Club I was a representative who attended a number of meetings with the club and Jimmy Hill. While he was difficult at times to deal with you always knew that he had the club and football at heart first and foremost. But it was always a pleasure to hear his views and ideas on the game, no matter how bizarre some of them were. His love of the game and club was infectious. Along with the Muddyman family Jimmy Hill saw Fulham through the tricky years until Al Fayed came on the scene and bought the club. Without Jimmy Hill I truly believe there would be no club now. All Fulham fans owe him a debt and I personally thank him for his hard work over such a troubled period of our history.